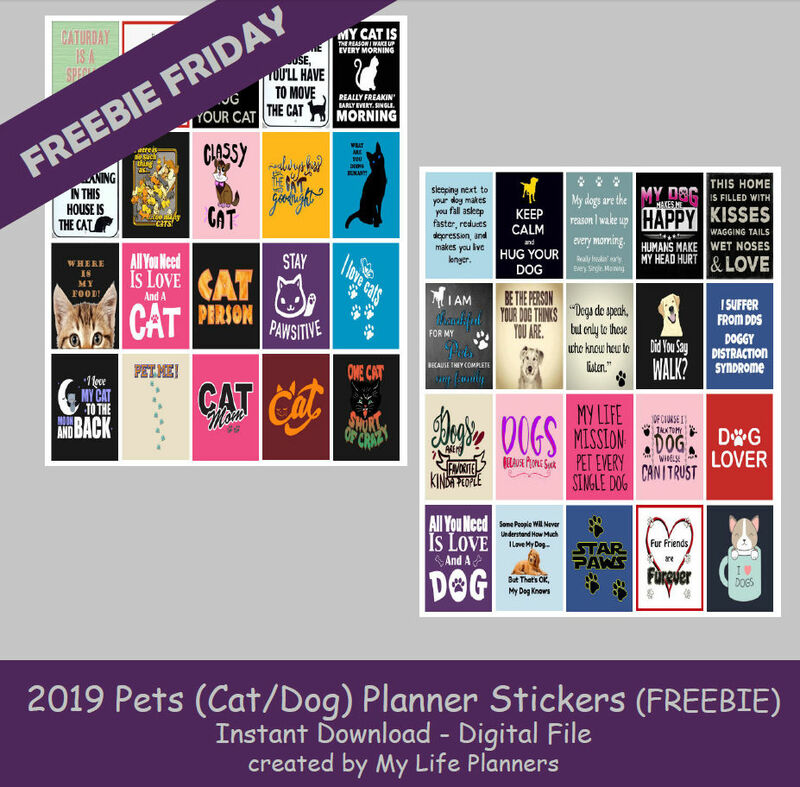 This week has been an emotional roller coaster for me, so I decided to dedicate this week’s freebie Friday to be Pet Planner Quote Stickers. In last week’s post I shared that my furbaby had dental surgery and wasn’t quite back to her normal self. By mid-morning Friday she was struggling to breath and like any concerned mother I ended up rushing her to the vet. We learned that during her dental surgery she must have aspirated, and the anesthetic fluid went into her lungs. I was so fortunate that I got her to the vet when I did because she needed to be placed in an oxygen box to help her breathe. A lot of scary possible diagnosis were explained to me that there could be a blood clot, bilateral pneumonia, or even congestive heart failure. She went into a veterinarian hospital where she stayed over the weekend. 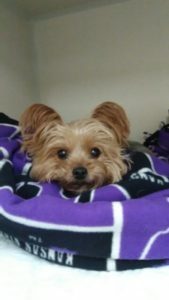 My prayers were answered and the antibiotics, diuretics, and medication they had her on helped her to where she was able to breath on her own without the oxygen box. Six grand and a small pharmacy later (7 pills every 12 hours) I was able to bring her home. I highly recommend pet insurance because you never know when you will need it. 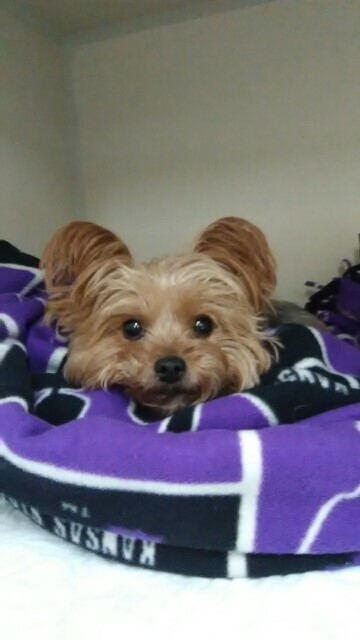 My furbaby saw a cardiologist yesterday to rule out congestive heart disease. When it comes to health issues it usually is a process of elimination and while there are still a lot of unanswered questions at least I know what it is not. Now they believe that she clotted during the surgery and has pulmonary hypertension, which while very serious can be treated with medication. Unfortunately, she still needs some teeth extracted but I’m in no hurry to put her under anesthesia anytime soon. Right now we are taking it one day at a time but today she actually wanted to play and it warmed my heart to see her tail wagging like normal after almost losing her for good. As I have said before, pets are family and I was completely lost without my sidekick. It just so happens that April 11, 2019 is National Pet Day this year so why not honor your furbaby in your planner to celebrate. If you missed the previous Pet Planner Quote Stickers from 2016 can revisit and download them here. To download the Freebie Friday Planner stickers for a Dog. Please click here. To download the Freebie Friday Planner stickers for a Cat. Please click here. This is a picture of my sweet furbaby.